Thank you i have looked for this photo. From the reception 3rd June, artist Tony Warren giving his painting "Tillgivenhet"
A video from reception at the Royal Palace on 1st June 2010. Victoria and Daniel at the reception on 3rd June with Stockholms studentsångare (Stockholm Academic Male Chorus). At pre-wedding events on this day 6 years ago. They are far and away my favorite Royal couple. Gabriel Forss, a Swedish choir director, told some months ago in Svensk Damtidning about how he acted as the choir director to the young European royals on 17th June. 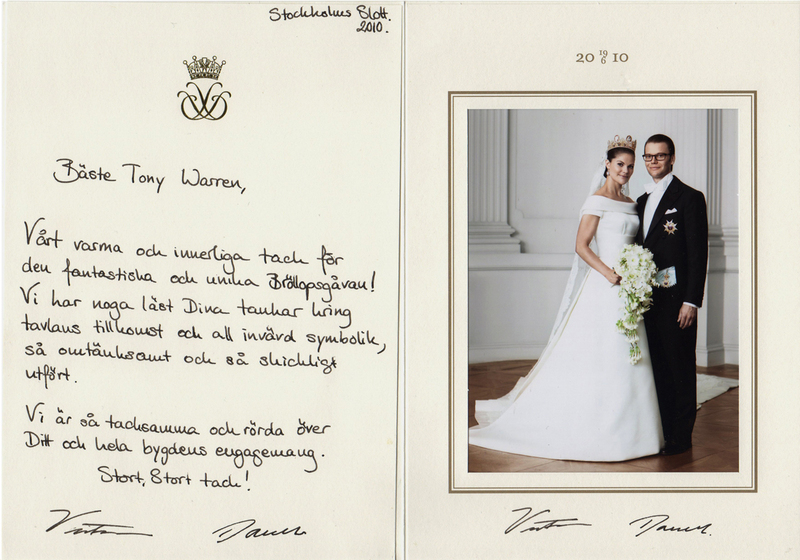 The young royals had gathered to Grand Hotel in Stockholm to a rehearse a surprise song to Victoria and Daniel. The Norwegian royals, crown prince Haakon, crown princess Mette-Marit, princess Märtha Louise and Ari Behn, had made a song "The Royal Countdown" - they had rewritten Europe's hit song "The Final Countdown". They had named the gospel choir consisting of all the young royals attending at Victoria's and Daniel’s wedding as "The European Royal Choir". 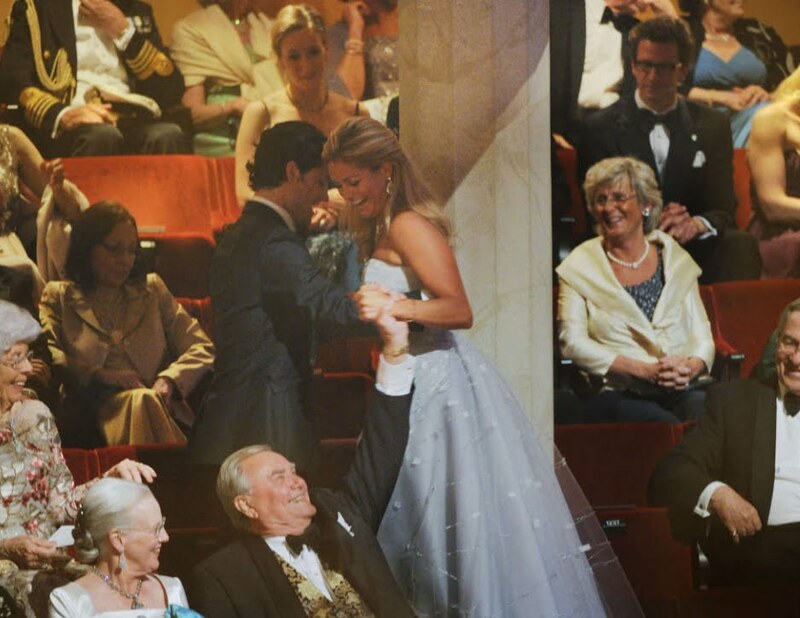 Haakon played guitar and Mette-Marit was in ecstasy, she thought it was so much fun. Mary joked with the gang that they really could make some money by performing. And in the evening they sang to Victoria and Daniel at the private dinner at Drottningholm Palace and it was a big success. Gabriel Forss tells that he was chosen as the leader of the royal choir because his friend at the Norwegian royal court had tipped about him. - The whole gang was cool and fantastic. I had met Victoria, king Carl Gustaf and queen Silvia in more formal events previously, so I was prepared to use a lot of titles and so, but Mette-Marit was so nice. She she just threw herself around my neck afterwards and said "Gabriel, I just want to always sing at your choir, can't we do this more times, it was so much fun", says Gabriel, who actually has been thinking about gathering the beautifully singing royals together again for a charity event. How uttlerly wonderful but, when you think about it, that they should have done such a thing is hardly surprising. Victoria was the only Crown Princess of her generation and her brother Crown Princes were almost all older than her and treated her like a much loved sister. They were also aware that her road to the altar was a lot longer and harder than any of theirs. And yet little sister still kept smiling her inimmitable and ever present megawatt smile, her innate joie de vivre never dimmed. That is why I think Victoria's wedding was the most magical. Because she wasn't the newcommer but the royal in the wedding party meant that instead of soft smiles and timid waves we had a positively euphoric bride whose smile could light up a city, her utter joy was contageous and not only did she know the royals present, she grew up with them and knew their wives and was Godmother to several. So they really were just like extended family and that they should want to do something extra special is just that, special, magical even when you consider all their various schedules. 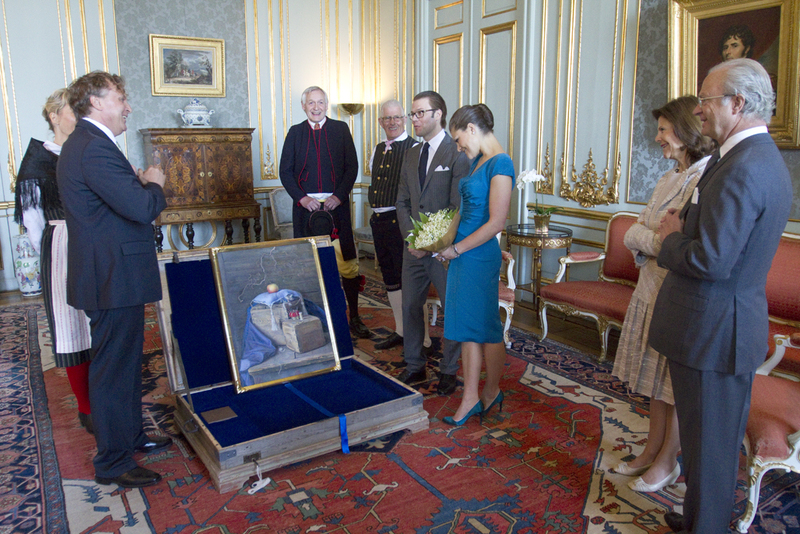 That today Sweden loves their Crown Princess and are very proud of their Crown Princess family is hardly surprising. Photographer Patrik C Österberg published just this photo at his Instagram, Victoria and Daniel arriving to the concert on 18th June.